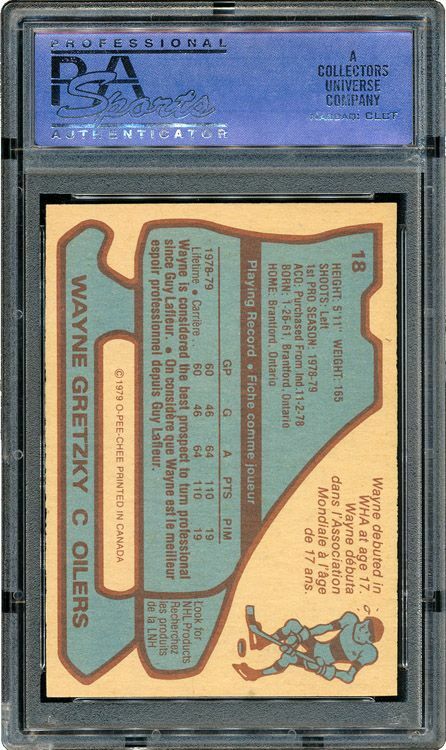 Wayne Gretzky's PSA 10 O-Pee-Chee rookie card sold for $94,163 on Sunday. SCP Auctions claims that this is the most a hockey card single has ever sold for. 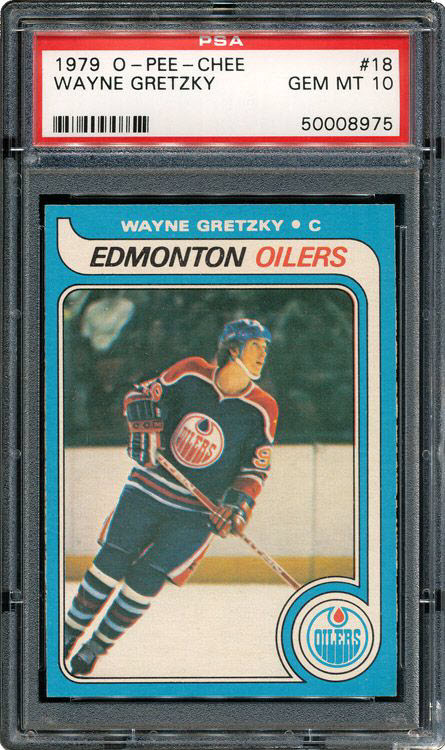 Check out our full Wayne Gretzky Hockey Cards Profile. The Laguna Niguel Auction house and SCP Auctions Inc. are hosting a sports memorabilia silent auction with exceptional, high-ticket items including the late coach Red Auerbach's personal basketball memorabilia collection, the original UCLA Pauley Pavilion jump circle, and a 1979-1980 Wayne Gretzky Rookie Card Graded PSA 10. The CEO of SCP Auctions Inc., David Kohler, says the Wayne Gretzky rookie card is ,“arguably the most valuable modern trading card on the planet." Currently the high bid for the Gretzky rookie card is $78,469 and the UCLA center court jump circle is now at $114,888. 1915 Cracker Jack “Shoeless" Joe Jackson #113 - $47,084. Ty Cobb game-used bat autographed and inscribed on Aug. 9, 1925 - $78,469. Card No. 30 from the 1915 Cracker Jack issue Ty Cobb - $34,529. Circa 1931 Lefty Grove Philadelphia Athletics game-worn uniform - $71,335. Red Auerbach's 1981 Boston Celtics NBA Championship Ring - $29,233. Red Auerbach's 1000th career win trophy - $10,721. Manager Patrick Joseph “Patsy" Donovan's 1910 Boston Red Sox Jersey - $19,489. Ted Williams signed 1937 Boston Red Sox rookie player assignment contract and photograph - $16,081. You can browse and bid on items in the auction by logging on to scpauctions.com or calling 1-800-350-2273. The initial bidding period ends Saturday, April 30th at 7 pm PST. Don’t the left and right edges look a little worn to be a 10? Man if only I had that kinda cash to spend all at once. jbmm161 � I hear that.